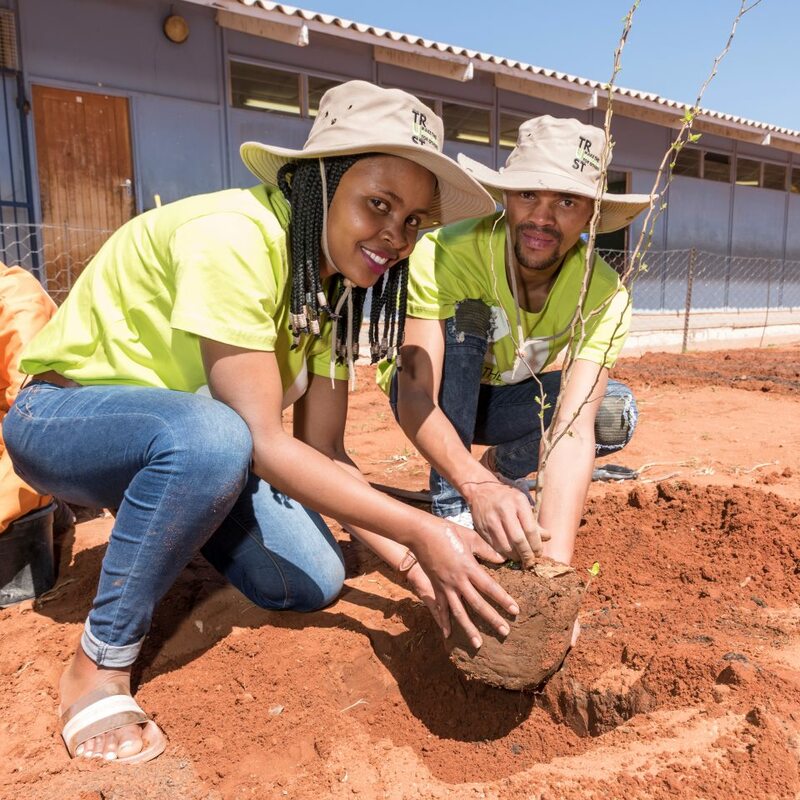 Woolworths Kalahari Mall employees Noma Lolwane and Nceba Simakade plant a fruit tree in Simbruner Primary School’s food garden. 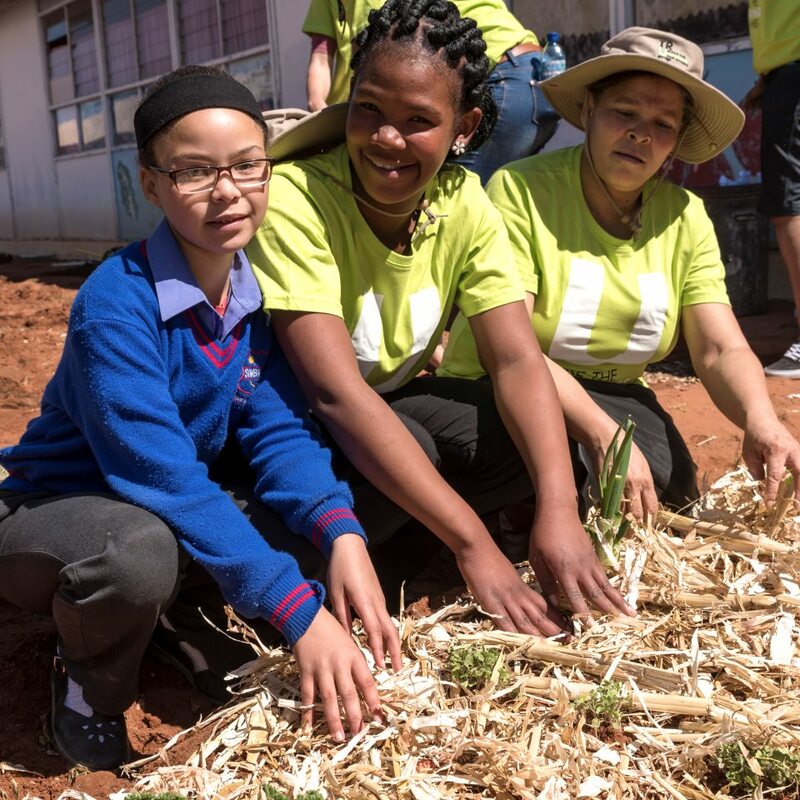 In celebration of this year’s World Food Day’s theme – ‘Our Actions are our Future’, volunteer groups of Woolworths employees from across the country have rolled up their sleeves and gone to work with learners in local schools permaculture food gardens. 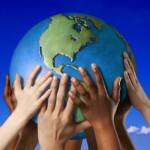 For most employees it will be the first time that they are participating in an EduPlant volunteer day. 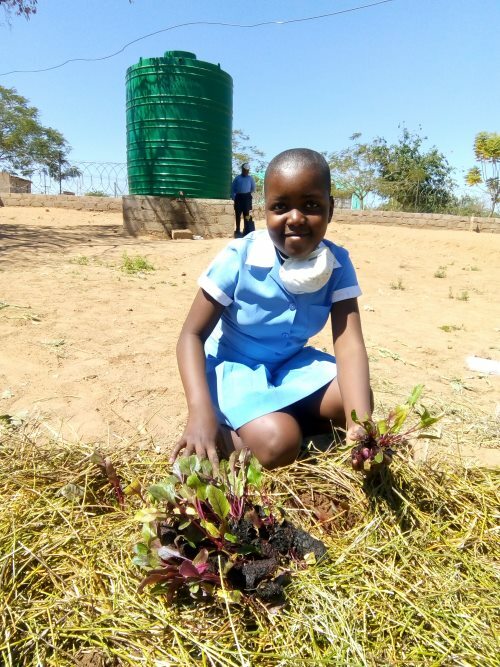 The schools were identified by Food & Trees for Africa as schools that had been a keen participant in the EduPlant permaculture food gardening programme by either attending their one-day or cluster workshops or had entered the EduPlant school food garden competition. 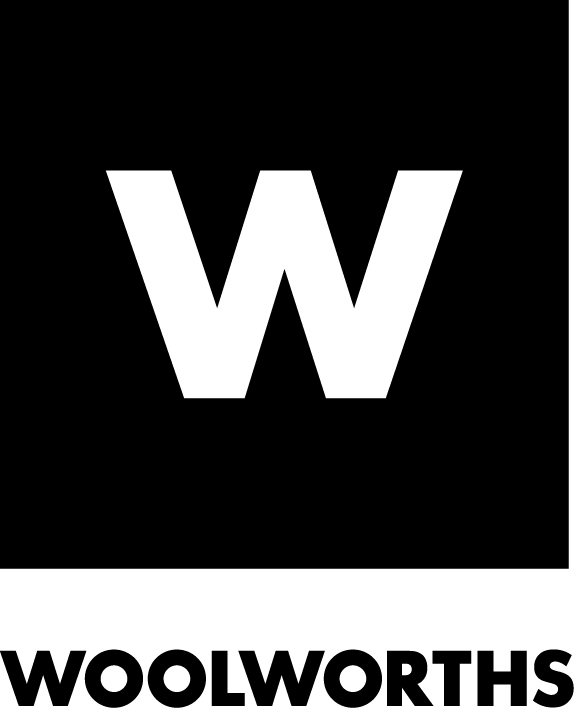 As one of South Africa’s big five food retailers, Woolworths partnered with the EduPlant programme fourteen years ago and has been the main funder of the programme in an effort to improve food security in vulnerable communities across South Africa. 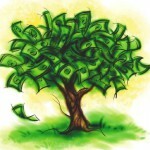 EduPlant initiated and managed by Food & Trees for Africa is the country’s leading food gardening programme. In most of the schools the food garden plays a vital role in supplementing the school’s feeding scheme and provides fresh vegetables, herbs and fruit for vulnerable learners to take home with them. 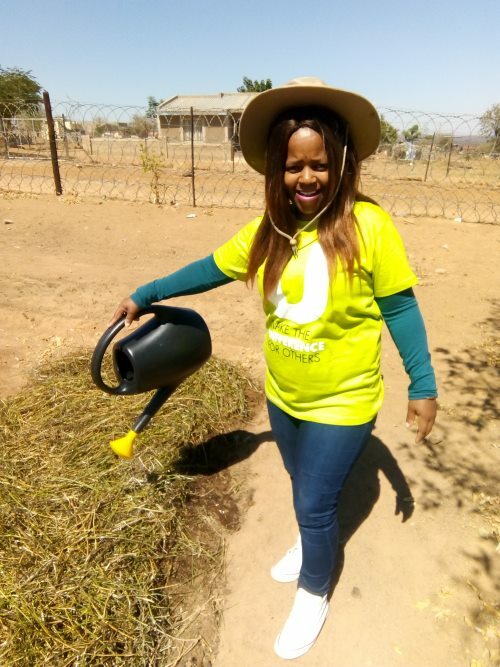 Refiloe Raborife was one of a group of Woolies Groblersdal employees to volunteer in Legadimane Primary School’s food garden, giving their garden a much-needed boost for the upcoming summer season. “It’s a wonderful opportunity to go out into our community, join the kids in getting our hands dirty and learn all about permaculture food gardening while helping to expand the garden and boost their school’s sustainable food production.” says, Justice Thamaga Store Manager of Woolies Groblersdal Mall store. As part of the Woolworths Employee Community Involvement Programme, over the next two months store employees are volunteering at ten schools across the country to recognise the importance of local, sustainably-produced, good food and help them take their food gardens to the next level. They will work side by side with learners and educators to dig new beds, mulch, compost, plant and water. In addition to the volunteer time and ‘sweat equity’ from their local Woolies stores, schools also benefit from donations of compost, seedlings and tools.